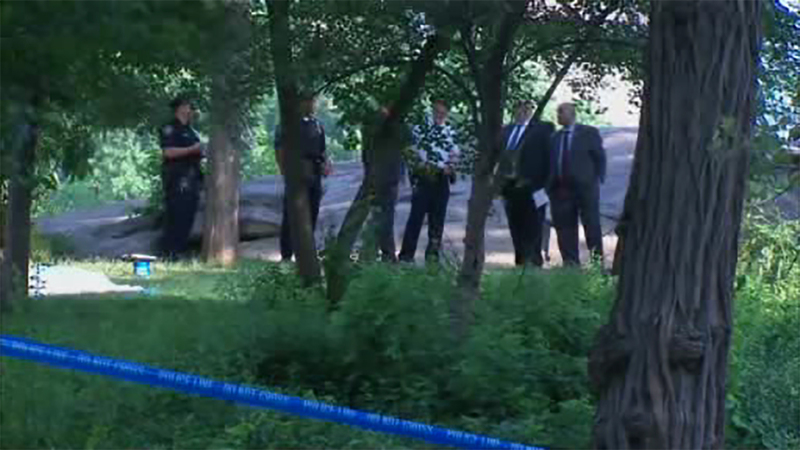 Police are investigating after the body of a woman was found in Central Park. CENTRAL PARK, Manhattan (WABC) -- The body of a woman was found on a rock on the east side of Central Park Thursday morning. The unidentified woman, in her 20s or 30s, was found at East 62nd Street and the East Drive just before 6:30 a.m.
She was discovered lying face down on a rock. She was fully clothed and there were no signs of trauma. The cause of death will be determined by the medical examiner.